The most popular way to get to Koh Phangan is to take a bus or train from Bangkok and head South to the island. However, some travellers choose to do it backwards, maybe explore some Malayan islands before diving into Koh Phangan’s busy nightlife. Sounds good? Then here is our alternative, south-to-north itinerary from Pulau Kapas in the east coast of Malaysia to Koh Phangan. What’s the fuss about Kapas? If you’re reading this you probably enjoy relaxed beach life as much as we do. So if you feel like chilling for a few days in a peaceful Malayan beach before coming to party hard in Koh Phangan, Kapas is the perfect place. A small island that’s still pretty off the touristic radar. Surrounded by coral reefs, a place where can do snorkel in the morning, some trekking in the afternoon, and sing around a bonfire when the sun goes down. All this combined with the kindness of the locals and the delicious Malaysian food. The first thing you need to do is take a boat from Kapas to the nearest city, Marang. Boats leave every hour from 8 a.m. to 5 p.m. and it takes about 20 minutes to get to the city. There you can take a city bus to Kuala Terengganu (about 40 min). 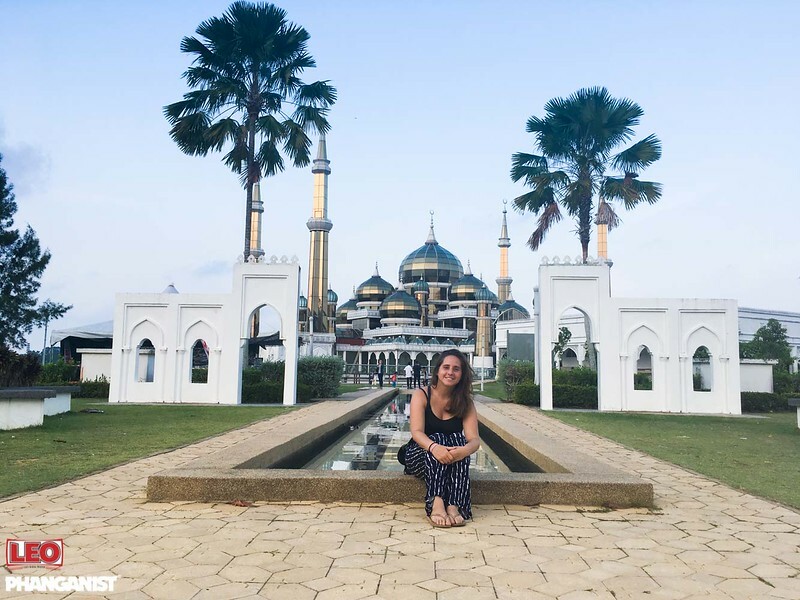 If you have time, we recommend spending at least one night there and explore its attractions such as the beautiful Crystal Mosque; and you also get to take some time to farewell this beautiful country filled with good vibes. Anyway, whether you decide to stay or not, your next step is heading to the bus station. 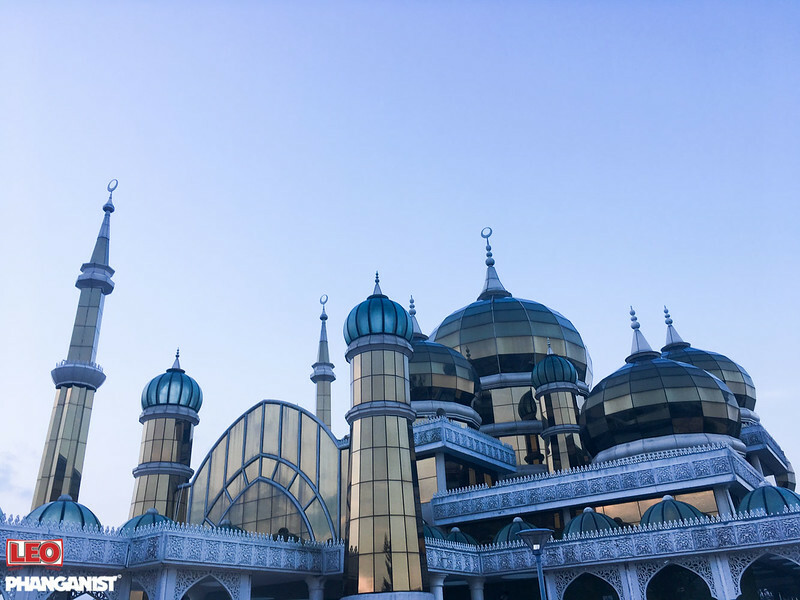 As there are no direct buses from this area of Malaysia to Thailand you will need to get to Rantau Panjang, the city that’s nearest to the border. Most bus companies have this route so there’s a wide variety of prices and times. The journey takes around 4 hours and the bus stop when you arrive is at walking distance from the border. Once you get off the bus you have to walk about 10 minutes until you reach the immigration Office. This is where we all get stressed, filling out forms, getting your passport stamped, etc. Luckily this is not a very popular border so the whole procedure takes only 30 minutes. 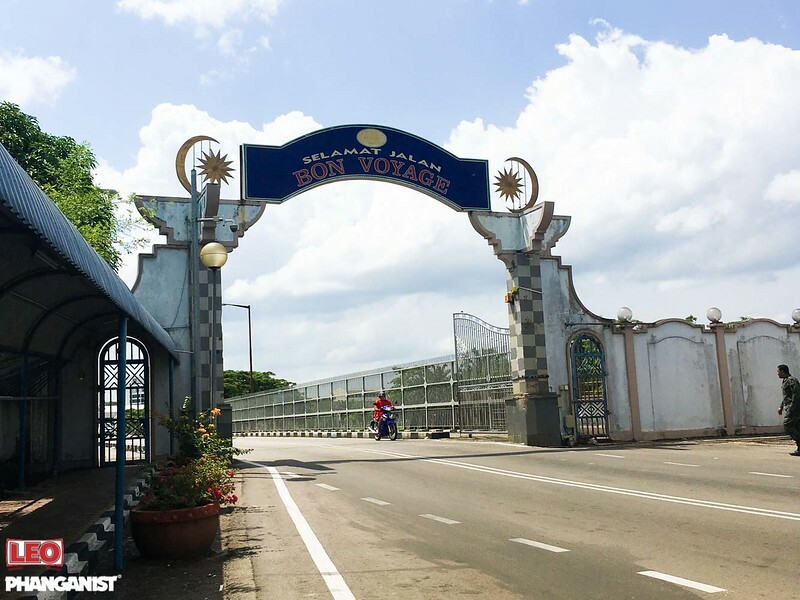 In the middle you have to cross the Golok River through the Golok Bridge which, according to its sign, represents “the closeness of the two countries and their people”. You made it now; you’re finally in Thailand after only six or seven hours of traveling. Easy, right? You might have read about Sungai Kolok as a kind of dangerous place. Don’t worry, after our stay there we can say we found nothing but kind, welcoming people. Now comes the fun part. To get to Surat Thani you can take a bus (purchase your tickets directly at the bus station 20 minutes away from the border), or a train. We obviously chose the cheap, slow, local way to do it because there’s no better way to see the country than through the window of a train. 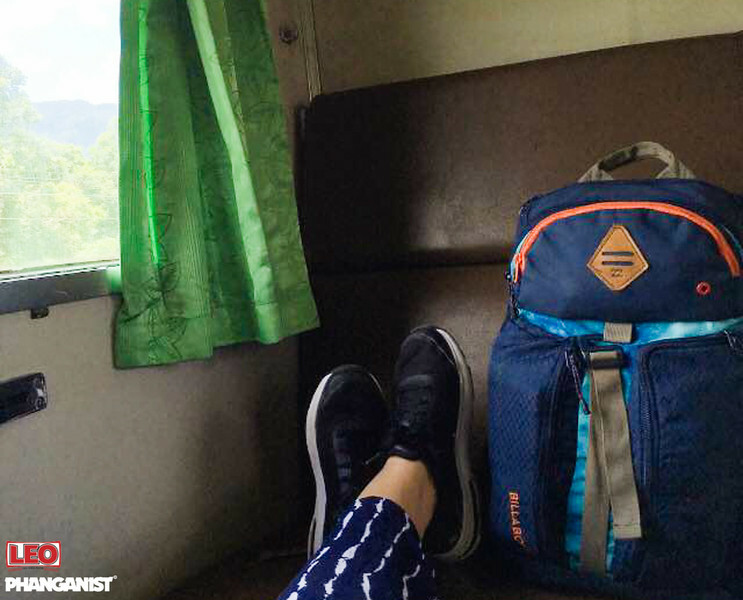 There are two trains leaving the Sungai Kolok station, 11:30 a.m. and 2:20 p.m. and you can choose between a regular seat and a bed seat (we highly recommend the latter for the sake of your back). The service is Sungai Kolok.Bangkok and you would get off halfway. That’s it, after ten hours of beautiful sightseeing you arrive at Surat Thani. From the trains station you can take a bus or a taxi to the city centre. Here you will find a large number of companies offering the bus-ferry service to Koh Phangan.The trip to the island takes around 2 and a half hours. That’s it, you have arrived. You can open your first cold beer; you deserve it after such a journey.